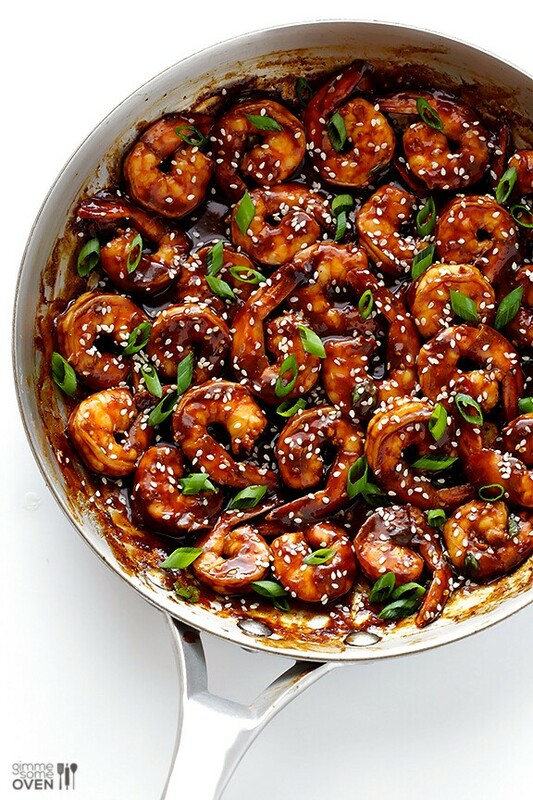 This simple hoisin shrimp recipe is quick and easy to make, and packed with amazing flavor! Combine hoisin sauce, rice wine vinegar and soy sauce in a small mixing bowl. Whisk until combined. Set aside. Pat shrimp dry with a paper towel. Season shrimp on both sides with salt and pepper. Heat oil in a large saute pan over medium-high heat. Add half of the shrimp in a single layer. Saute for about 2-3 minutes per side, or until shrimp are cooked through and pink. Use a slotted spoon to transfer cooked shrimp to a separate plate. Repeat with the remaining shrimp. Once the second batch of shrimp is cooked through, add the first batch of cooked shrimp back to the saute pan, along with the hoisin sauce mixture. Saute together for 1-2 minutes, tossing until the shrimp are evenly coated and the sauce is heated through. Remove from heat and sprinkle shrimp with sesame seeds and green onions. Serve warm over rice, quinoa, noodles, and/or veggies.